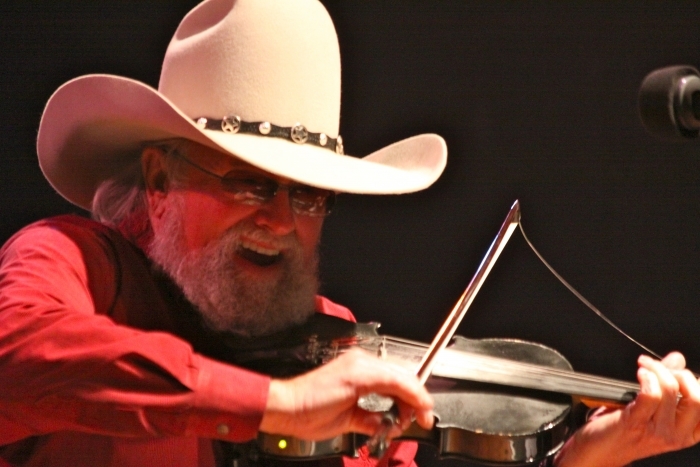 Charlie Daniels is bringing back the legendary “Volunteer Jam,” which began on October 14, 1974, at War Memorial Auditorium when Daniels and his friends recorded live versions of “Orange Blossom Special” and “No Place To Go” for the The Charlie Daniels Band’s FIRE ON THE MOUNTAIN album. Over the last 40 years, thousands have enjoyed the historic event known as “The Volunteer Jam”. The Volunteer Jam 40th Anniversary celebration will take place at the Bridgestone Arena in Nashville, Tennessee, on August 12, 2015, to raise awareness and funds for The Journey Home Project and The Nashville Predators Foundation.Joining Charlie Daniels for this one night only event in Music City include: The Outlaws, Billy Ray Cyrus, Travis Tritt, Kentucky Headhunters, Montgomery Gentry and Lee Roy Parnell. More artists will be announced at a later date! Copyright © 2017 The Outlaws. All Rights Reserved.